All in one preparation for study abroad! Planning is the key to the entire process. One can significantly increase his chances of making it to a great university abroad by simply focusing on the right things at the right times. There’s no point of spreading oneself out too thin and resorting to multiple sources at once. You are only likely to be overwhelmed and confused with all that comes toward you. The first thing you need to do is gauge whether a foreign education is for you -- academically and otherwise. Now that you’re firm on studying abroad, you need to strategize. For this, find an educational consultant who understands you and your goals and is committed to helping you realise them. The ideal counselor will give you a comprehensive understanding of the application process, help you identify the best institutions for you, and assist you with the preparation of a timeline for standardized tests (SATs, GRE, GMAT, LSAT, TOEFL, IELTS, etc.) and essays. Prepare well for the standardized tests but account for time that may be required for a second or third attempt (with high costs, you should look to avoid them as much as possible). Essays are a crucial component of the application and you will need time to write and perfect multiple drafts. Universities abroad seek holistically developed individuals, so you’re going to need a lot more than just good test scores and recommendations. You will need to start building your profile from a young age by pursuing your strengths and interests. A typical profile includes project work, summer internships, extra-curricular activities and volunteer work. If you already know where you want to go professionally, you could also start networking with individuals in the industry to understand the skill set required to succeed and begin working on developing those skills. This could help you land valuable summer internships in college that could lead to full-time jobs upon graduation. Understand the details of the application process very well. Sometimes colleges have nuanced differences in their application processes that might need to customize your application accordingly. Help your school/ college understand how to draft transcripts and recommendation letter that would portray you in the best possible light. Don’t hesitate to contact admissions committees with doubts. They are always happy to help and might even share information that may not be on their websites. Not just that, you might also gain an edge over competition by creating some recall value for your self in the committee. Work on your applications in such a way that you have a month’s time to go over all your details and possibly edit some essays as well. Once satisfied with your work, compile all documents and mail them out or submit them online well in advance of the deadline. An early submission of an application gives you a better chance of being interviewed and sharing a side of yourself you were unable to in the applications. Also, if you achieve or do something significant in the period between submission and decisions, make sure you contact the admissions office and update them. Don’t be too hard on yourself when it comes to adjusting socially and making friends. Try -- as much as possible -- to be yourself. The more you try to put up an appearance, the more awkward and different you will appear to others. It’s okay if you’re not dressed like everyone else, or not in the popular clique. Relationships take time to develop and you can’t expect to forge ties like the ones you had with your friends back home within weeks. Studying abroad is not about the fun, games, glitz and glamour of being in a first-world country. It is a serious life-decision. You’re there for a reason -- to grow to become an independent and resilient individual and push yourself to discover and realise the potential that may have never known you had. It is a once-in- a-lifetime opportunity offering exciting experiences ranging from learning about new cultures, speaking a new language, making new friends from diverse socio-economic,political and ethnic backgrounds, to discussing issues you might never have considered. With each of them, you can discover a new side of yourself, but it’s down to you to seize every moment. 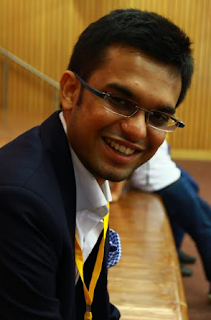 The writer, Mr. Rohan Ganeriwala, is the Co founder of Collegify, a college consulting company to study abroad. In the wake of Tuesday’s surprising US election, there have been massive speculative reactions, both within the United States and abroad. For Indian students looking to study in the US, there might be a lot of questions, and a lot of concerns about policy changes to the visa process and cultural responses to the new regime. Trump’s platform, makeshift as it was, rested on fear-baiting techniques and xenophobic language, and now concerns about the cultural implications this could have in the United States seem bigger than ever before. While no one can say for certain what will happen in the next four years, here are a few things that should put your mind at rest if you are concerned about studying abroad. Will the student visa policy change? In all likelihood, not at all. It’s not something Trump’s campaign dealt with over the course of the election, nor is it a hot-button issue for Republicans or Democrats. Most of the proposals mentioned during his campaign are illegal, and many of them would be difficult or impossible to pass even now, given his sure-to-be contentious relationship with senate and congress. Mr. Trump’s antagonism of the majority leaders, even within his own party, will probably result in four years of inefficiency, something Indian applications should be more than familiar with, but very little change. But beyond the fact that Mr. Trump’s interest in student visas is negligible, if there was a proposed plan in place to change visa policies, which there isn’t, it would take years to pass. Will US campus culture be a safe place for Indian students? Again, no one can guaranteezero incidents, but probably yes. Ms. Clinton won the popular vote, which means that more than half of the country voted for her and her social policies of inclusion and cultural diversity. College students, intellectuals, and urban centers all overwhelmingly voted for and campaigned for Ms. Clinton. Little of Mr. Trump’s political rhetoric seems to be specifically targeted at Indians. Frankly, if you consider the UK to be a safe place in a post-Brexit reality, you can consider the US in the same terms. What about scholarships?For Indian students, and international students in general, they apply to the college for aid, not the government, so if something does change in terms of government-provided student-aid, that will not affect Indian students. What is the negative fallout of this election for Indian students in the US?There is a large amount of speculation regarding the negative fallout of a Trump presidency, but students in top liberal arts colleges and universities are going to remain unaffected. Those who will be affected are students attending poorly ranked institutions in the US, as the employment prospects for international students at these institutions take a hit. A high-quality education from a top university remains valuable to employers and graduate schools alike. At Collegify, we conducted a survey across all our locations in the aftermath of the election: across a sample of over 400 students, not one indicated that they would like to change their decision to study in the US. At the end of the day, people aren’t their government, something Indians should know all too well. What Donald Trump says or feels or does doesn’t reflect the views and actions of millions of Americans, any more than every policy or opinion coming out of the Indian government reflects every person living in India. And as all you aspiring political science majors know, democracy is all about checks and balances. So apart from his terrible Hindi pronunciation, Indian students have nothing to fear from President-Elect Trump. It is important for the student to view the essays as an opportunity to speak directly with the admissions committee. Your grades, standardized test scores, extracurricular activities and letters of recommendation are already part of your application, so there is no point in discussing any of this, for it would only be redundant. You need to view your essay as a means of selling yourself to the admissions committee. This is a time to flaunt your talents and your accomplishments, but be very careful not to do so in a self-serving, pompous way. The essay portion is the only part of the application where you have complete control, so take advantage of it and express your individuality.